A quick sketch for today. This is a day of preparation for our hearts. 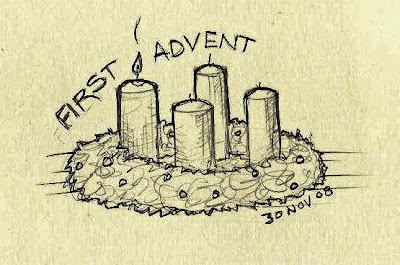 Today we light the candle of hope. I just arrived back to Germany from a quick trip to Canada this morning. I arrived in Zurich, Switzerland and had to take the train to Basel. 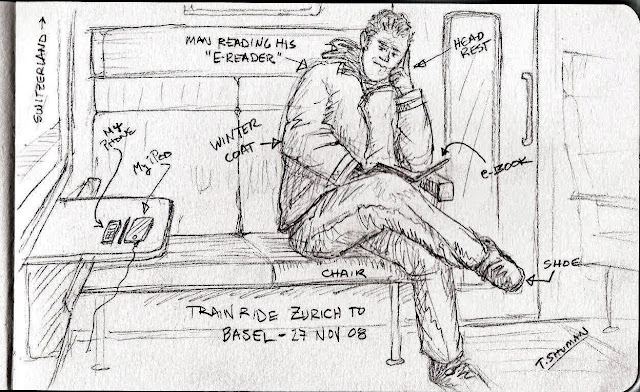 My train trip took about an hour and 20 minutes, plenty of time to do a quick sketch of the guy across from me. I'm pretty sure he didn't know I was sketching him. It was a fine way to pass the time. I was quite intrigued with the guy's e-book. I think it was one of those Sony ebooks. I would love to try one out some day. Our Pastor is taking us through the book of Galatians. 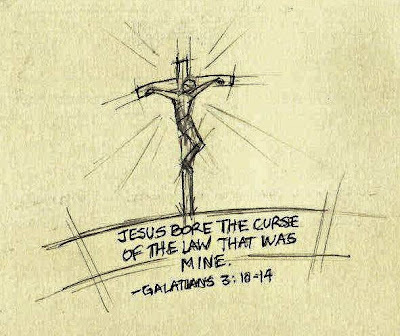 Today the topic was justification - the ruling that I am without sin. This is the picture that came to mind - the judge's gavel. The problem of course, is my response and how I live with this declaration, this grace. 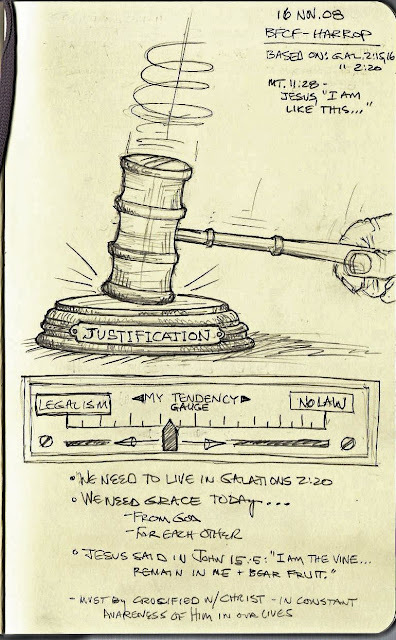 We tend to move back and forth between legalism and no law at all. (See gauge below.) The solution is living more in touch with Jesus every day - John 15:5.